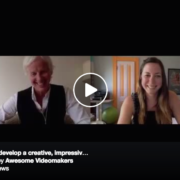 Wondering how to start using live video without taking a lot of time? Then check out my FREE Training on how to do Facebook Live for your business. 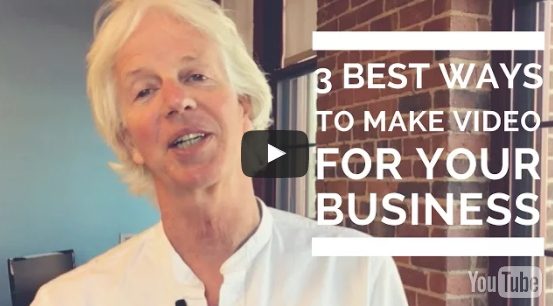 Here’s my 3 step strategy which will guide you in the best ways to make video for your business. There are lots of ways that you can make video that are really time consuming. 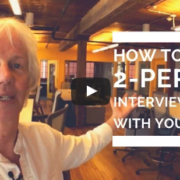 But today, I’m going to show you a system – three simple steps – so that you can put your video out there and you can be sure that you’re going to get a good response from all the effort that you put into making your video. Step #1 is that you start by going live on Facebook. Now why do you do that? It’s because of reach. 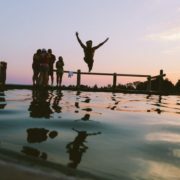 You’re going to be able to reach all your friends and all your followers on Facebook because that is where they already are. And it rewards you when you make a live video by giving you this huge reach. So, you make a video and it’s typically going to reach out to about 1,000 people – and out of those 1,000 people, several hundred of them will watch your video. That’s the reward that Facebook gives you – every single time. The real reason to start with live is because it’s easy. The time that it takes you to go live is all the time it takes to make your video. When you’re done, you’re done. There’s no post production, there’s no editing. You don’t even have to upload it anywhere. It’s already live. If you’re wondering about how do you make video without taking a lot of time or going to a lot of trouble: go onto Facebook. Use the Facebook app. Go live. Press the button, and you’re done! OK, so what’s step #2? After you go live, you take that same video and you add a nice introduction that’s been pre-recorded that says, “Hello, I’m this person and I do this thing and today this is what we’re going to talk about.” And put that at the beginning of your video. 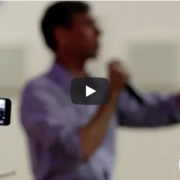 At the end, take another section that’s a pre-recorded video that says, “Thanks so much for watching and make sure that after you watch you do this thing that I want you to do.” And give them a call to action. 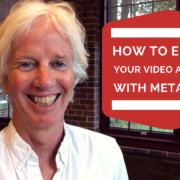 You take those two parts and you just bolt them onto your video with an editing tool like iMovie – and upload this longer video onto Youtube. Now why do you upload onto Youtube? Because when you’re on Youtube, now you’re going to get search. On Facebook you get reach, but you don’t get any search. People aren’t going to search for you on Facebook and find you by searching. But they will search for the problem that you solve in your video or the answer to the question that they have that’s in your video. And they go onto Google or they go onto Youtube and they look for the answer you’re providing, and if you have a video on that subject, they can find you and watch your video. So you get more views this way. And this keeps going on forever when you have a video on Youtube. The unfortunate thing about Facebook is that it gives you great reach but has a short shelf life. Your video goes up but within 24 hours that’s kind of it. It’s not going to get a lot more views. But as soon as you put it on Youtube, it has a shelf life that lasts for a really long time. 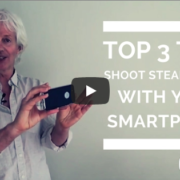 Step #3 is you take that video – the same video – and embed it onto your blog. You reach out to your email list and say, “Hey, I just made this great video for you!” Put a little thumbnail picture of the video in the email and you get them to click through and go to your blog post and watch it. That will create the same kind of search index for people coming to your blog and coming to your website – where you can engage them further. If they’re new visitors, you can invite them to join your email list. Post on your blog (web site) add bonus content that people can download (grow your email list) bing!!! — if you want to really get this right, then you’ll want to join my FREE Training on how to do Facebook Live for your business. Go do that !! Right now!! I can’t wait to see your videos…!